Celebrate LOVE!! In partnership with our friends at Malecón Recuerdos— the true romantics of Cuba—I~Dared Travels ensures that newlyweds will get off to the RIGHT start in life. From the moment you arrive in Cuba feel the power of LOVE. Our services include the perfect romantic getaway to your week in paradise—you will be picked up at the airport in a 1950s classic car. Feel the wind in your hair on you way to a cozy hotel in Havana Vieja where you can meander the cobblestone streets and dine at the newest paladars (restaurants) in Cuba. After exploring the old city you will spend a few days lounging on the white sand beaches of Veradero. We assure you, returning home will be the hardest thing you do all week. Newlywed packages start at $3,200.00/couple. The services include lodging, romantic meals at up-and-coming Cuban Paladars (private restaurants), airport transfer to/from hotel in Havana, three nights at a five-star hotel in Havana, two nights at an all-inclusive hotel in Cuba’s renowned honeymoon haven of Veradero, and transportation to/from your hotel in Veradero. 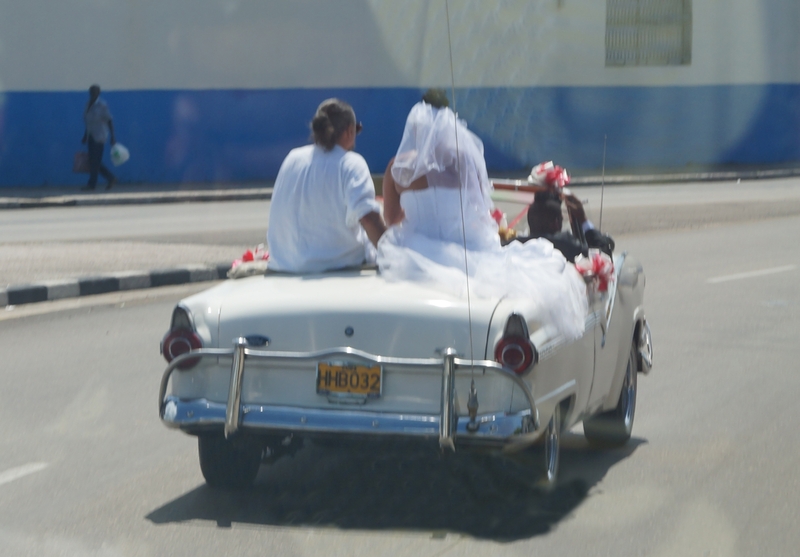 Also included is a two-hour tour of Havana in an American classic car. Additional services contracted may include bilingual guide (daily rate) and transportation to tourist sites outside of Havana such as the picturesque locations of the Ernest Hemingway’s home, Las Terrazas Biosphere, or Soroa Orchid Garden. Contact us to create an unique honeymoon experience.